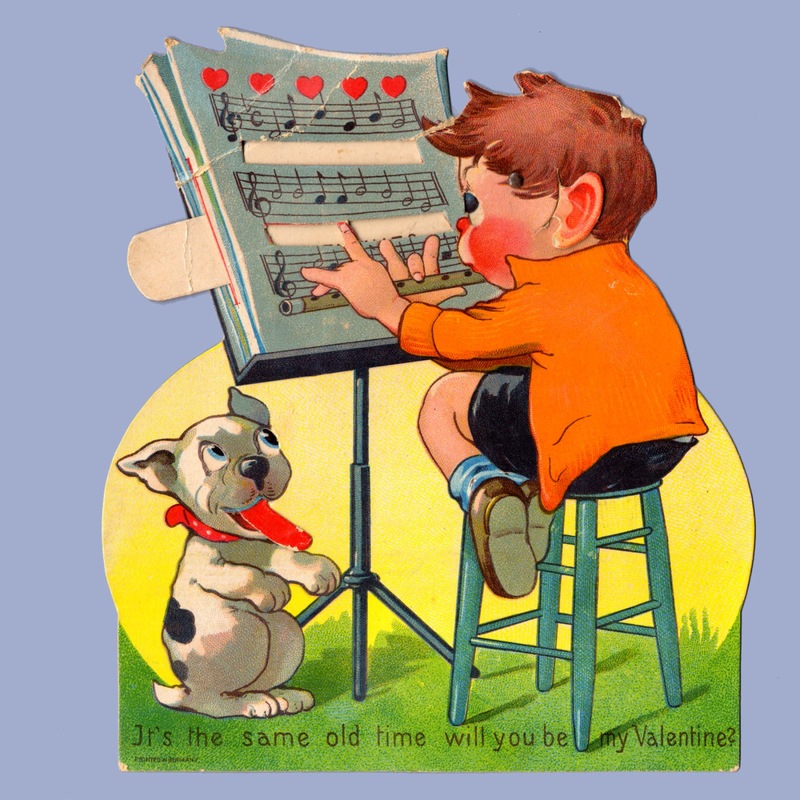 It's the same old time will you be my Valentine? 6 1/2" x 7 1/8"
Bonzo the dog was created by George Studdy in 1922. The character was very popular and was featured in a wide variety of merchandise from candy tins and chocolate molds, to stuffed toys, pins, perfume bottles and paper goods. He was one of the earliest cartoon characters, sometimes appearing with a cat named Ooloo. A headphone-wearing version of him known as the Crosley Pup became the face of an affordable AM radio created by Powell Crosley Jr in 1925. 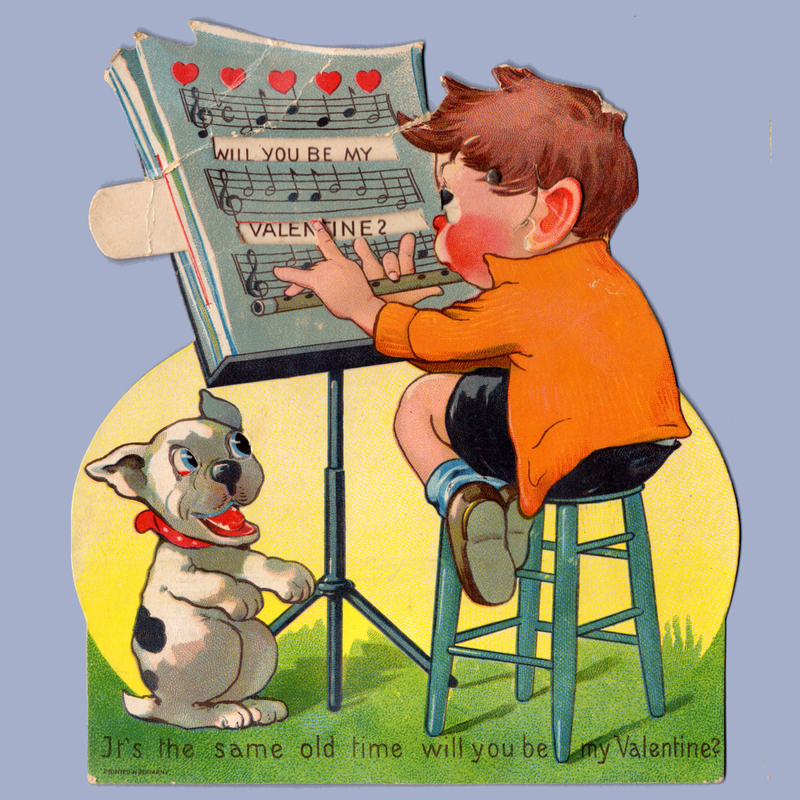 There are an enormous amount of postcards to collect, with an unknown amount of die-cut valentines too. For the truly obsessed there is even a possible soundtrack for your Bonzo-hunting in 1960's The Bonzo Dog Doo Dah Band.